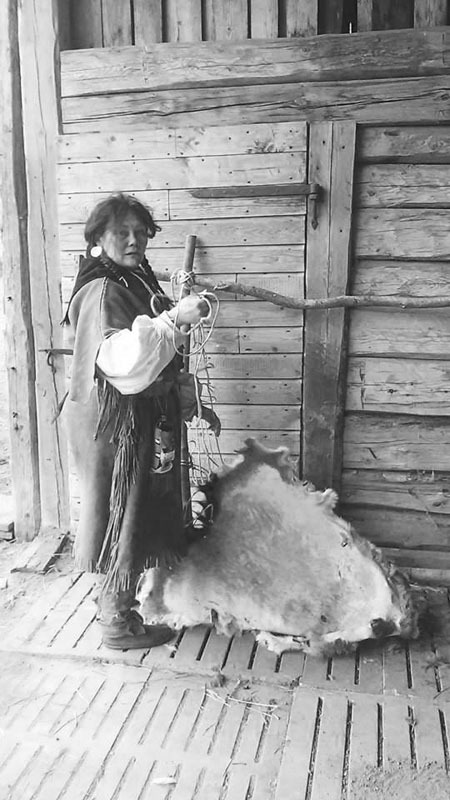 A quite cold and rainy weekend in May, the women of SMM got together and decided to make some rawhide for future projects. Both of us were very inexperienced, and with our men away in battle we had children and animals running around our feet. This should be an interesting test run! To scrape the fleshside was quite easy and made in no time. Then the trouble begins..
To be able to scrape the hair off, the skin need to dry and with very humid weather it took at least twice the time we had planned for. 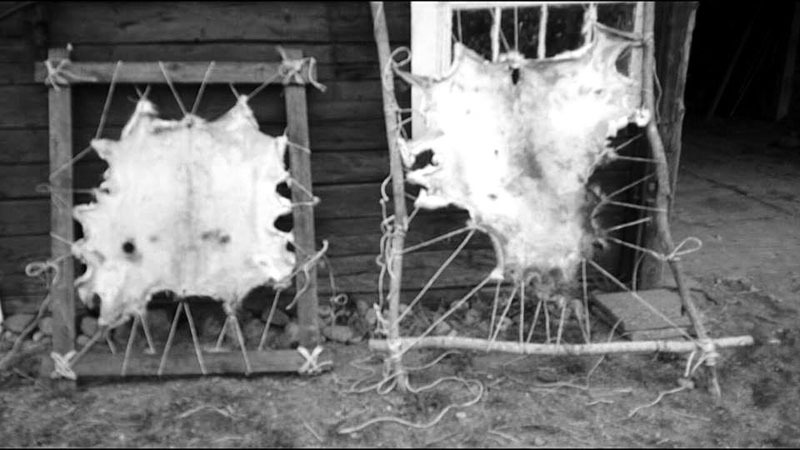 The fact that our hides had its winter fur didn’t help us neither, it felt like it took forever and the thickest parts on the back still needed a bit of violence and pure strength to get hair free. 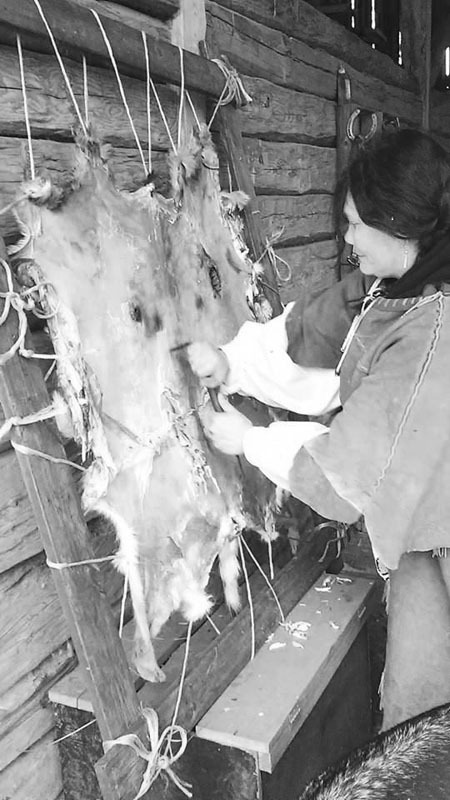 Still we were able to cut two beautiful pieces of thin, and very useful, rawhide down. With a few holes off course, but still it was a huge success and we had a lot of fun! More pictures can be seen by clicking here!